Nintendo and Kadokawa are set to release a brand new Xenoblade Chronicles 2 art book called 'Xenoblade Chronicles 2 Official Artworks Alrest Record'. 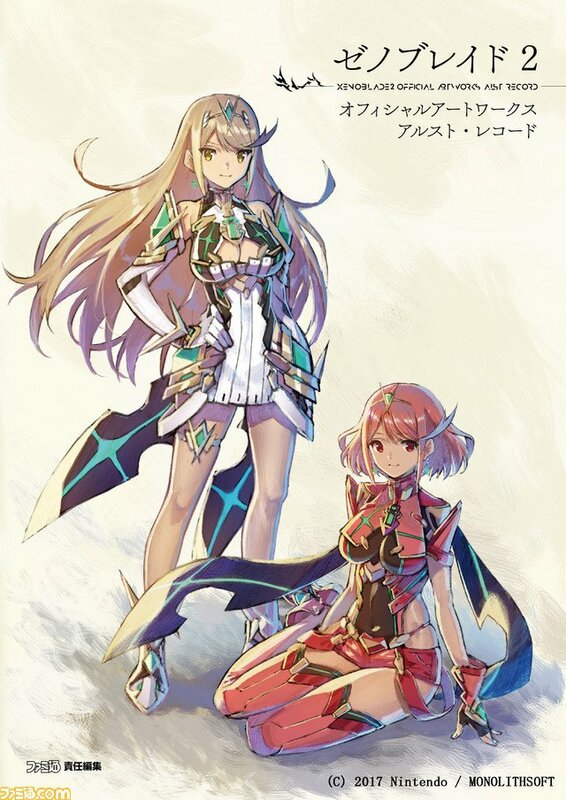 The book will feature illustrations from the game's main character designer Masatsugu Saito, four special illustrations by rare blade designer CHOCO, and contains art from both Xenoblade Chronicles 2 and Xenoblade Chronicles 2: Torna – The Golden Country. Characters, weapons, rare blades, titans, monsters, objects, and more will all appear. It also includes lines from the game's most memorable moments as part of a 'story playback' feature, and all of this content is wrapped up inside the gorgeous, 352-page book shown below. It's A4 in size and is available in paperback. Pre-orders have now gone live on Amazon Japan (the book is scheduled to launch on 2nd February) and costs ¥ 3,132 (approx. £22 / $29). While no western release has been confirmed, Amazon Japan does offer international shipping to most areas so importing shouldn't be an issue. Are you a Xenoblade fan? Would you like an official art book for your collection? Let us know if you're considering buying a copy in the comments. Thank you for reporting on this early. Preordered. Was only $36 shipped to US. @Godzil probably not. US didn't get the physical soundtrack either. I'd get it if you're interested anyway. Praying for all you people that purchase this that it WON'T be 90% fanservice. @Varkster Art books should be 100% fanservice in the traditional meaning of the word. @Peterjr1 Guess I'm the only nerd who would buy it to see the cool kaiju titans. Perfect for fans of the series! ...so that means I'll pass. I guess I know what my next art book purchase is. Might as well get the physical soundtrack while I'm at it. Nabbed me a pre order. I'm a sucker for anything this series. "Are you a Xenoblade fan? Would you like an official art book for your collection? Let us know if you're considering buying a copy in the comments." I am a massive Xenoblade fan! But not a big fan of art books. There is no easy way to display them. I'd either want posters for my wall, or a collection of wide screen image files to add to my rotating desktop background. I'm not the kind of collector who buys things and piles them up in boxes and closets. I'm the kind who has shelves packed with stuff and posters and other things on the walls. If I can't display and enjoy a collectible, I can't justify buying it... usually. I am VERY tempted to pick this up, I recently got the Special Edition version of Xenoblade 2 specifically for the extras and I was planning on giving away my old standard copy to a friend anyways, so it ended up working out. I really hope this gets a translation though or that we just see more Xenoblade stuff pop up in the West though. Hmm mixed feelings on this. I like some of the art direction but not all of it. Not sure if that is enough to warrant buying the artbook. I'll get it. Love Xenoblade, despite XC2 being a horrifyingly terrible installment it'll remain one of my fave series. If it never comes West, I might import it at some point. I really loved the art direction in this game. It looks beautiful, but I agree with some others. When was the last time I looked at an art book? A book with additional info on the game, world, development etc has some new knowledge in it....but an art book to look at, while beautiful, I don't know when I'd really ever take it out. Very different from the Hyrule Historia that puts tons of information with it. The artwork in that game is absolutely stunning. I have the sp ed with an art book in it and it blows me away. @Godzil We got a hardcover art book in the special edition here too (for 2). Yes it wont be in English, but I'm sure people will translate it. Much like the insert that came with the Siren model that goes into detail about the nature of the Zohar/Conduit. I'm curious what the difference between this and the the art book that came with the special edition of the game. That was pretty big and though in itself. Is this one better? making money for a XCHX Switch port? I am ready for a Xenoblade 1 remaster. It is stunning on dolphin with upgraded textures and high res... I would love to experience the game again like this on my switch. SOLD! Especially at that price. @Godzil It could happen. A Splatoon artbook got a English release and while the game sold well, I dunno if many fans would be madly buying an artbook on Splatoon as much as say, the Zelda or even Fire Emblem books. 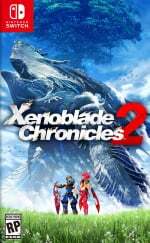 XC2 sold about 2 million worldwide with sales of the Torna prequel meant to also be "very strong", so I'd say there's a little chance. Hmmmmm, I want this really bad, but I'd rather wait till we get a translated version. I guess there's no guarantee that we'll get it in the West, but the Fire Emblem Awakening art book did come her and that gives me a little more confidence. Preordered instantly! Really excited about it! Hope an English version happens also. Since it's listed on Amazon Japan - I doubt it will be in english. @Spectra your comment is awful. Waiting for the english version. We got an art book with the launch of the game, as well as with Xenoblade X.
I still want to get the music off a stupid locked thumb drive they gave me with Xenoblade X that only downloads onto windows computers for some crazy reason. I'll order the Japanese soundtrack if I can't get an english version, but I'm willing to bet on an english version of the artbook. I like artbooks, I would appreciate this more if there was a western release. How does one order off of amazon.jp in the US? Wow, it's currently "#1 best seller in Japanase books". That's... very surprising. And now I will pre-order one and help push it up to #0 best seller! 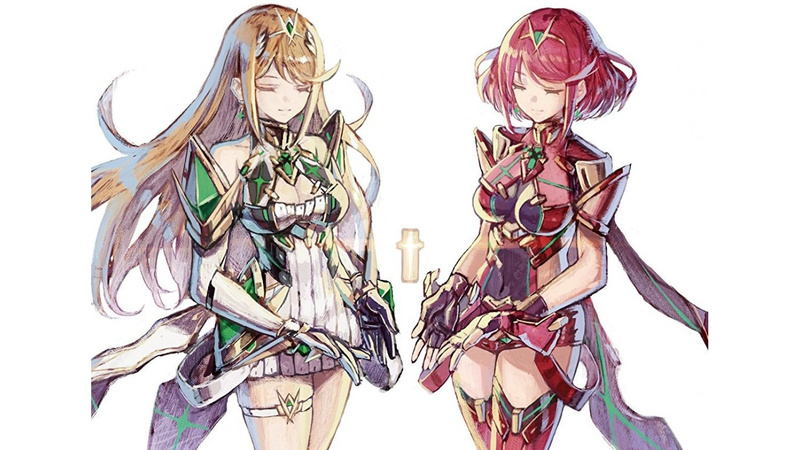 Pyra still has flabby hips? Shame. It was the best place to buy artbooks. I already placed my order. You'll be waiting for an eternity for the english version( if it even comes out at all). Some art books dont get localized.